You are always welcome on Audiko.net! 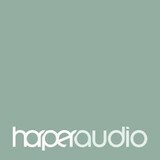 Simply download a free HarperAudio ringtones for your iPhone or mobile. Scope out your favorite section from your favorite video - Paddington Goes for Gold, By Michael Bond, Illustrated by R., Thomas Aquinas: Philosophy in an Hour, By Paul Strathern, Re, Allegiant, by Veronica Roth, read by Emma Galvin and Aaron S, or any other track. You are welcome to have your ringtone both in the MP3 and m4a formats, played by both mobile phones and iPhones. Just select a track, and choose free HarperAudio ringtones download option.